Back cover: "Paula Butturini and John Tagliabue met as foreign correspondents in Italy, fell in love, and four years later, married in Rome. But not even a month after the wedding, tragedy struck. They had transferred away from their Italian paradise when John was shot and nearly killed on the job. 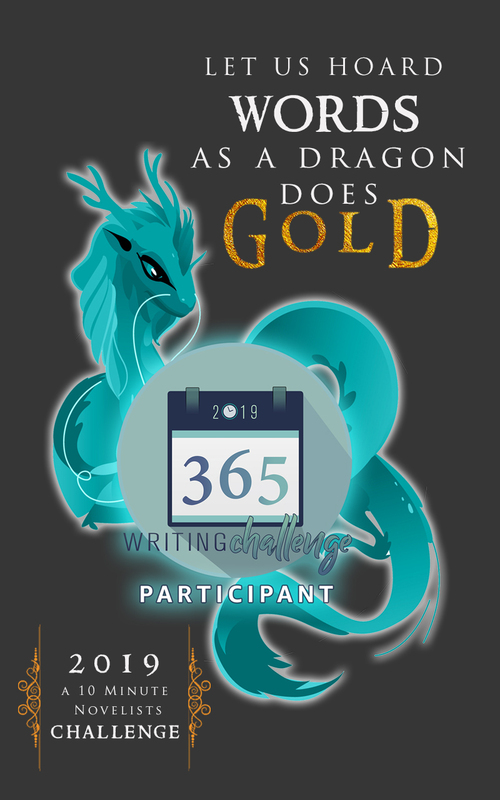 The period of physical and mental suffering that followed marked the abrupt end of what they'd known together and the beginning of a phase of life neither had planned for. They followed their instincts and returned to the place they loved, Italy, and there they found a lifeline of sorts. As John struggled to regain his health and Paula reexamined her assumptions about illness and recovery, it was food and its rituals--the daily shopping, preparing, sharing and memory of food--that kept them moving forward. Food became a symbol of the family's innate desire to survive, to accept, and to celebrate what fell its way. Keeping the Feast is an inspiring story of what happens when tragedy strikes a previously happy marriage and a couple must fight to find its bearings. It is a testament to the extraordinary sustaining powers of food and love, to the healing that can come from the simple rituals of life, even during life's biggest challenges and to the stubborn belief that there is always an afterward, always hope." "Keeping the Feast" is Paula Butturini's memoir of what happened during her marriage when John was shot while on assignment and reflections on life past. I don't ordinarily read memoir's but when Lisa of Books on the Brain decided to read the book for her Winter Reading Series, I was intrigued and decided to join in. The publisher, Riverhead books, thoughtfully provided those joining in with a copy of the book and it was released February 18, 2010. In 1985 Paula and John met and three years later in 1989 decided to marry. The fall of the Berlin wall would affect their lives substantially. Two weeks before their wedding, Paula was covering a protest march against the communist leaders in Prague - the Velvet revolution. The Czechoslovak police started beating up the peaceful protesters and despite the fact Paula was just there to report it, they savagely beat her as well. Five weeks later, two weeks after they had gotten married, John was shot while covering a story in Romania. He had a long and hard recovery and was deeply depressed for a long time. I think she was as well but handled it in a different way. 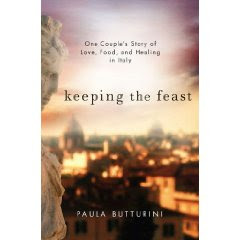 "Keeping the Feast" is Paula's account of how she was able to keep their lives together and how food played a substantial role. Food never played a big part in my life. I'm one of those who eat to live rather than live to eat. When we travel, it isn't the restaurants or the food we remember, it's the places. But I imagine if we lived in Italy - the slow pace, the fresh food in the square offered by the farmers, fresh baked bread, the pasta, the wine would change all that. Paula's descriptions of the farmer's market, the food, the meals they prepared had my mouth watering at times. So much so, I baked some very fattening chocolate chip cookies in the process of reading the book. And even now, thinking about it, makes me want to prepare some fresh pizza dough and have a homemade pizza tonight. Even though I prefer reading science fiction or an action packed thriller, I have to say Reading the Feast is a emotionally packed look into Paula's life and I highly recommend it. We could all learn something from it. 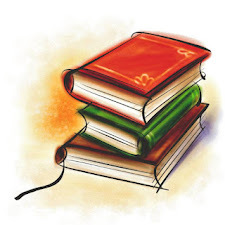 Would you like to meet the author virtually and find out more about the book or discuss the book? Paula will be visiting Lisa's blog on Monday February 22 at 5:00 P.M. PST. Come join in on the discussion. Thank you to Lisa for hosting the Winter Reading Series, Riverhead Books for providing me with a courtesy copy of the book and Paula for sharing her story. "Butturini’s love of food and her mouth watering descriptions of it will delight those readers who consider themselves “foodies.” It is Butturini’s ability to unite all three of these subjects into a cohesive, compelling story that will have readers praising this book." "From Butturini’s discussion of the local markets she visits in Rome to her descriptions of pasta, polenta, and more, this book made me woozy with hunger." "Beauty in words! I loved Paula's writing and her ability to draw me into this story, to make me feel so many emotions. While a great part of this book may seem like it's sad, it actually isn't. Paula has written this book in such a way that it offers encouragement and hope - she opens her heart to all reading and that makes it a very powerful novel indeed." *FTC note: This review is my unbiased opinion and no compensation was received in the writing of this review. I really need to read this. Whenever I travel, I almost always remember to take a photo of the sign of each restaurant I was in! This one sounds wonderful just for the food descriptions. So glad you linked up this week. Food is a big thing for me and I really wish it weren't so important. Don't think that is going to change though, so I try to enjoy all in moderation and have it work for me. As the Paula found, it can be a method of healing. Great review. This looks like a worthwhile read. I love both food and memoirs, and especially travel memoirs, so it sounds right up my alley. Or, up mia strada, as the case may be. it sounds great..if only I hadn't taken a "No Memoirs" pledge. I think this books sounds great! I have traveled a lot but still haven't gotten to Italy - it is top on my list! I've read really great thoughts on this one around the blogsphere so I would like to read this sometime. I'm not a big foodie but Italy seems to heal and transform so many people who visit there. There is quite a buzz centered around this book but I had not previously read any reviews of it. Your review is great, and since I do happen to enjoy memoirs I am going to have to check this one out.